“Limited funds are being spent on inaccurate materials,” the U.S. Department of Justice wrote in a legal filing Tuesday. 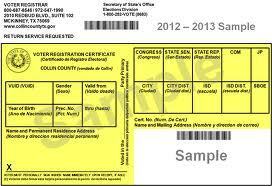 The filing asked U.S. District Judge Nelva Gonzales Ramos to “issue corrections to past press releases and other public statements” by Texas officials and “update and redistribute all electronic resources to reflect that all voters” without one of seven types of photo identification required by a 2011 Texas law may cast a ballot in November. Remedial Order ¶ 11 (second emphasis added). Despite the Remedial Order’s clarity, Texas’s voter education and poll worker training documents depart from it. Rather than educating voters and poll officials about opportunities to cast a regular ballot for those who “do not possess SB 14 ID and cannot reasonably obtain it,” the State has recast that language to limit the opportunity to cast a regular ballot solely to those voters who present SB 14 ID or who “have not obtained” and “cannot obtain” SB 14 ID. That standard is incorrect and far harsher than the Court-ordered standard it would displace. By recasting the Court’s language, Texas has narrowed dramatically the scope of voters protected by the Court’s Order. Moreover, the standard the State’s training and educational materials currently describe has already been rejected by this Court and the Fifth Circuit. At this critical stage, such materials should maximize accuracy and minimize confusion. Texas’s materials do neither. Plaintiffs have objected to the State’s language repeatedly to attempt to resolve the matter short of court involvement, but Texas has refused to conform all voter education and poll worker training materials to the standard ordered by this Court that voters who “do not possess SB 14 ID and cannot reasonably obtain” SB 14 ID may cast a regular ballot. The State is about to begin a mass media campaign that should educate voters to whom this Court has restored the ability to cast a regular ballot, and an erroneous message would compound—rather than cure—the harm caused by SB 14. The United States therefore respectfully moves to enforce the Remedial Order. Seems pretty clear to me, and it jibes with the tingly feeling I get in my Spidey-sense when I read the things that people like Harris County Clerk Stan Stanart have been saying about voter ID and the changes to the law that are in effect this November. The state needs to be made to do the right thing because it will not do it on its own. The AG will file its response tomorrow, so we’ll see what they have to say for themselves. The motion is set for hearing on Monday, so we ought to know quickly what will happen. ThinkProgress has more. The Texas SOS is so full of it.